So, for a while now I'd been contemplating a blog post here about all the sci-fi and horror television episodes over the years that involve the holiday and holiday season. 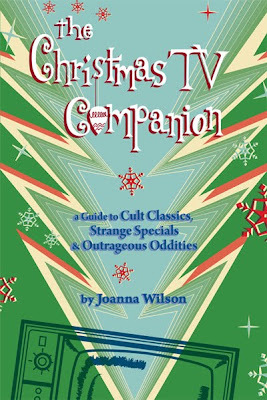 Then I received in the mail a fun book on that very topic entitled The Christmas TV Companion: A Guide to Cult Classics, Strange Specials and Outrageous Oddities by Joanna Wilson. I realized that someone else had already done all the hard work, so why re-invent the wheel? Available from 1701 Press, The Christmas TV Companion is a dedicated survey of Christmas TV specials and episodes across the decades, and the book features chapters on both Christmas horror ("Have Yourself an Eerie Little Christmas") and Christmas sci-fi ("Christmas Stars and Men From Mars"). In the horror section, author Wilson digs pretty deep, remembering a 1949 made-for-TV production hosted by the late, great Vincent Price, Charles Dickens' The Christmas Carol. She also discusses one of my all-time favorite Night Gallery installments, "Silent Snow, Secret Snow," and remembers prominent X-Files ("How the Ghosts Stole Christmas") and Buffy the Vampire Slayer ("Amends") episodes. My only disappointment here: no mention of the outstanding (and really, really emotional...) Millennium Christmas episode: "Midnight of the Century." On the plus side, Wilson does feature some words on another Millennium holiday segment, "Omerta." 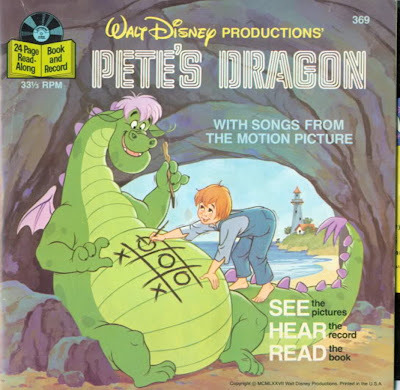 In the science fiction category, Wilson starts with the most notorious production of the lot: The Star Wars Holiday Special of 1978, set on the planet Kashyyk. Wilson is commendably even-handed and balanced in her criticism of this George Lucas show. She notes that it was our first introduction to Boba Fett, for instance, even if the low quality of the show was "a disappointing shock." In the rest of this chapter, the author remembers ALF ("Oh Tannerbaum! "), Mork and Mindy ("Mork's First Christmas") and Doctor Who's 2005 "The Christmas Invasion." Additional chapters gaze at Variety Shows and animation (including South Park...), and there's even a chapter on "dark" Christmas specials. Here, Wilson discusses Peace on Earth (1939), a "stunning antiwar MGM Cartoon in technicolor" from animator Hugh Harmon. Great that you mentioned that particular Millennium episode. I still remember that one quite well. Thanks for this.